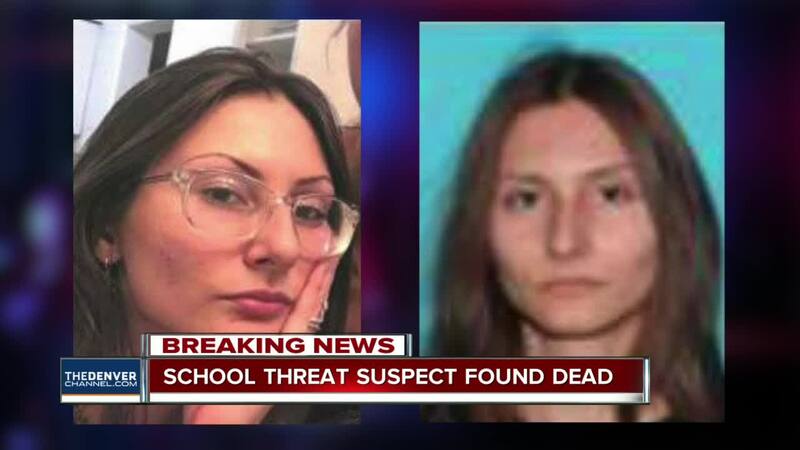 Sol Pais, the 18-year-old, Columbine-obsessed Florida woman wanted for making a threat to Denver-area schools Tuesday, was found dead near the base of Mt. Evans Wednesday morning, according to law enforcement sources. By: Stephanie ButzerDENVER — After a massive manhunt along the Front Range and foothills west of Denver, Sol Pais was found dead by suicide Wednesday morning near the base of Mt. Evans, according to multiple high-ranking sources. The 18-year-old woman from Surfside, Florida, had been wanted by authorities since Tuesday morning after allegedly making "credible" threats toward schools in the Denver metro area. Multiple sources told KMGH Wednesday morning that she had been found dead around the base of Mt. Evans. Two high-ranking sources told KMGH's Jace Larson that she took her own life. The FBI tweeted shortly afterward that there was no longer a threat to the community. Pais traveled to Colorado on Monday and arrived at Denver International Airport later that day. She went to a gun store and purchased a shotgun and ammunition, according to the FBI. Sources close to the investigation told KMGH that she legally purchased the shotgun in Littleton, Colorado, where Columbine High School is located. The woman is “infatuated” with the Columbine school shooting, authorities said. She was last seen in the Foothills of Jefferson County on Monday, but authorities did not name her exact location. Jefferson County Sheriff's Office placed several schools on lockout Tuesday afternoon after the sheriff's office identified what appeared to be a "credible threat," though the details of the threat were not clear. The sheriff's office said Pais was connected to the threat and was considered armed and dangerous. The ABC Station in Miami reported that a man who said he was her father told news crews that he last saw his daughter Sunday and the situation has "been a nightmare" since then. About 150 schools and districts closed Wednesday as a precaution.